I came home from our first camping trip of the year (4th of July) to hundreds of flowers blooming. It was amazing. What was this green garden paradise had all of a sudden turnned into heaven. 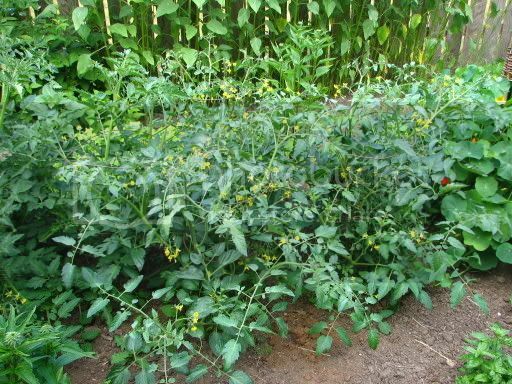 Complete with blooms the size of my face and tiny ones that are now turning into my tomatos. 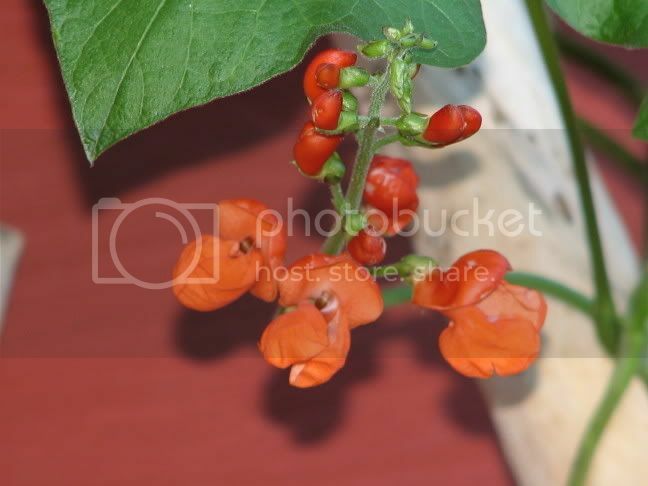 Scarlet Runner beans... these are STILL flowering like this 5 wks later. They are starting now to produce little beans that will be next years seeds like these were from last year.